In temps around 5-15 degrees these gloves are actually too warm! 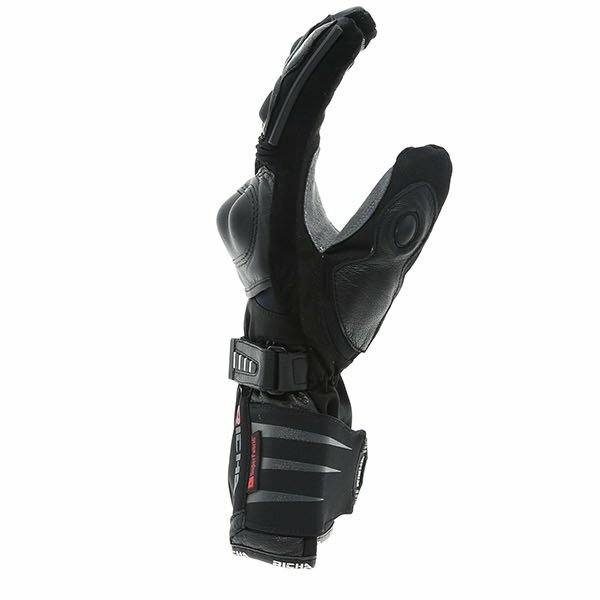 They are fantastic, with gloves like these it can be difficult to flick switches etc but at least your hands are warm! Not as warm as I'd hoped having read other reviews. Fitting was as per the size chart and not a problem. No problem with finger lengths etc. Haven't tested them in the rain yet so can't comment on waterproofing. The gloves are not over-bulky but my first ride wearing them involved a lot of gear-changes and use of the clutch lever and I had a very sore left wrist after an hour or so due to the stiffness of the materials. Should have bedded them in more gently, but they're getting better now. 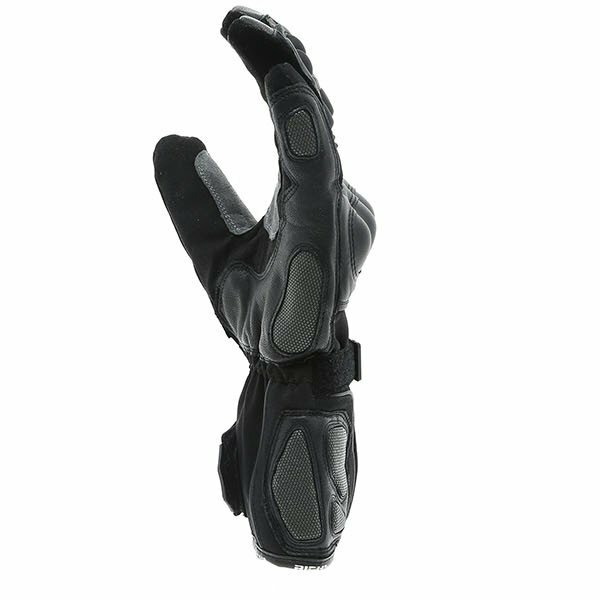 I bought these gloves after the original pair I had purchased from Sportsbikeshop weren't fit for purpose. I was allowed to exchange with no fuss under their exchange policy and cant recommend the gloves or the store highly enough. Many thanks guys, I'l be back for future purchases. Great quality gloves, would recommend. Not too bad . Took a few days to settle in . Cuff could do with more adjustments on size , this is over come by base layers. Not sure yet on waterproof but definitely hands warmer . 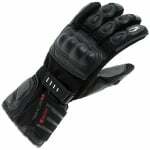 I have tried several different gloves in this price range, none of which were as described. These are a perfect fit, warm, comfortable and controls are usable with no fumbling. The best thing is the lining doesn't pull out when you take them off no matter how warm your hands are. I would certainly recommend them. From a selection of 5 pairs, including the cheaper Richa Carbons, of so called winter gloves, I went for these. There are not hugely bulky and the sizing is spot on. Fairly stiff to begin with but after a few rides they...ahem...fit like a glove. Coldest I have ridden in is 4 degrees and the tips of my fingers were just starting to get gold after 25 mins. Seeing I ride a naked bike with zero protection, I'm Happy with that. Haven't tested in heavy downpour yet, but the build quality makes me believe they'll be fine. Additionally you get a visor wipe, but it's not overly useful, I still use a Vee wipe. 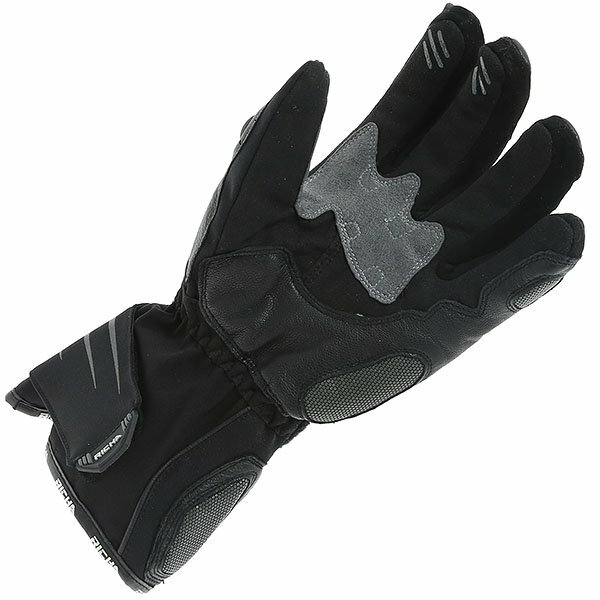 Overall good value glove that will see me through to late Spring. Excellent service as ever from SBS. 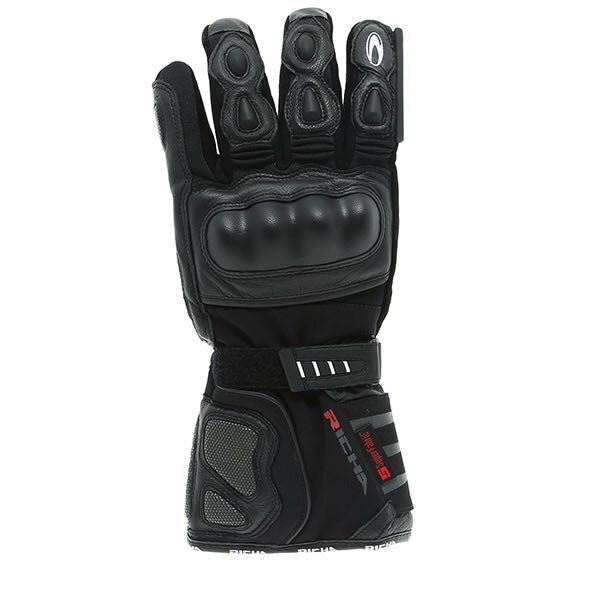 Exactly as described, fully waterproof and very comfortable to wear didn't need any breaking in as the leather palm is thin enough. Sometimes the cold gets to your fingers even with heated grips, during winter 40min commute but happy to sacrifice a little warmth for dry hands! Firstly I noticed these are a perfect fit for me, the sizing chart was spot on. They are not bulky at all and give a great feel at the controls Slightly stiff at first but within a hundred miles had softened up nicely. I still think there's enough space in there for a additional thermal lining glove which gets me onto the warmth. I tested them in dry 2-3degs about 5pm and was a spirited ride and although the back and palm of my hands remained warm, I'd say the last inch /finger tips got cold. I don't have heated grips and I ride a R1 so hands are fully exposed. As previously mentioned I'm looking to try a pair of silk/thin thermal inner gloves to see how much that helps. But to be fair I wouldn't normally ride in that cold a temperature and travelling swiftly with wind chill must've been well below zero degrees. I can't review the waterproofing as haven't got them wet yet. To summarise, these are a very well made, comfortable, warm glove which should keep you warm down to 5degs. A great price and usual fast delivery from SBS. Highly recommended. Well fitted and size as marked. comfortable and warm. Great product from Richa well made and good quality. Are thease gloves all textile or do they have any leather on them? 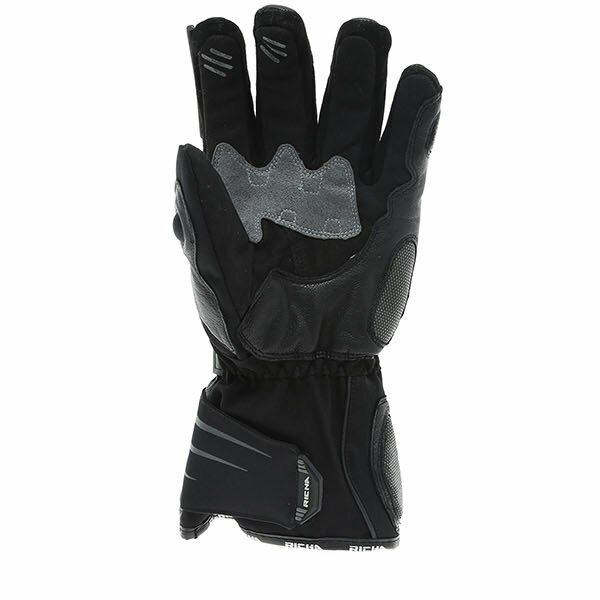 The Richa Baltic is constructed from a mixture of leather and texture materials (approximately 36% leather on the outside of the glove).